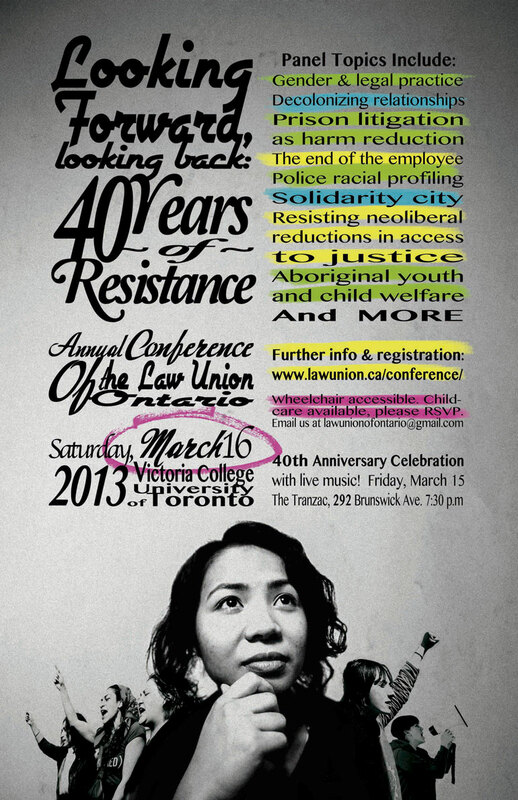 Join us on Saturday, March 16, 2013, for the Law Union of Ontario’s Annual Conference! 2013 marks the 40th anniversary of the Law Union, and this year’s conference will bring progressive legal and activist communities together to discuss an exciting and challenging series of issues. This program has been accredited by the Law Society for 1.5 Professionalism Hour(s) and up to 5.75 Substantive Hours. Delia Opekokew is a lawyer and a deputy Chief Adjudicator for the Independent Assessment Process. From the Canoe Lake First Nation in Saskatchewan, she was the first First Aboriginal woman admitted to the bar in Ontario and in Saskatchewan, as well as the first woman ever to run for the leadership of the Assembly of First Nations. Click here for an overview of your rights when you are approached by the police.